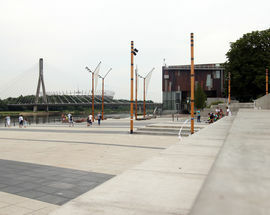 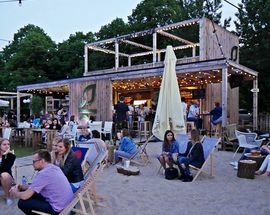 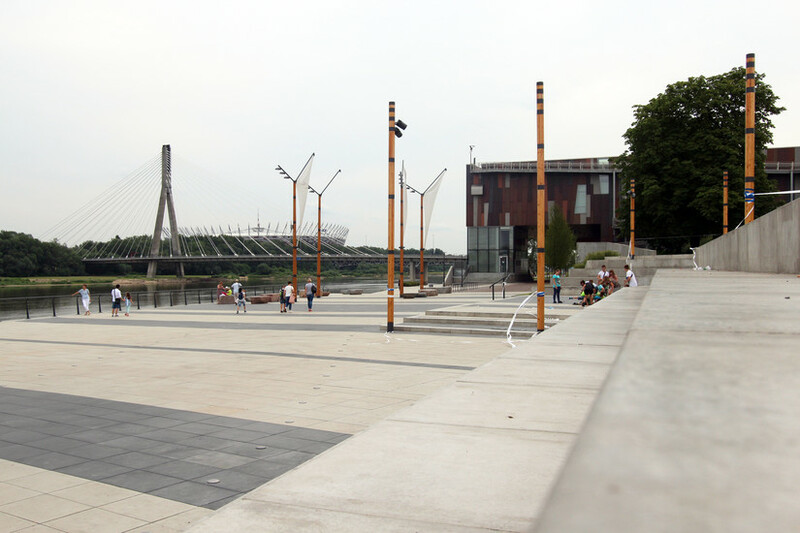 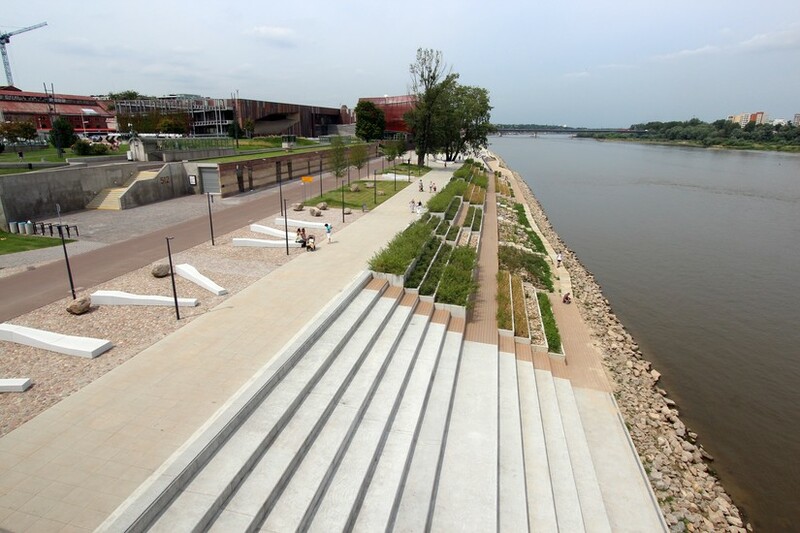 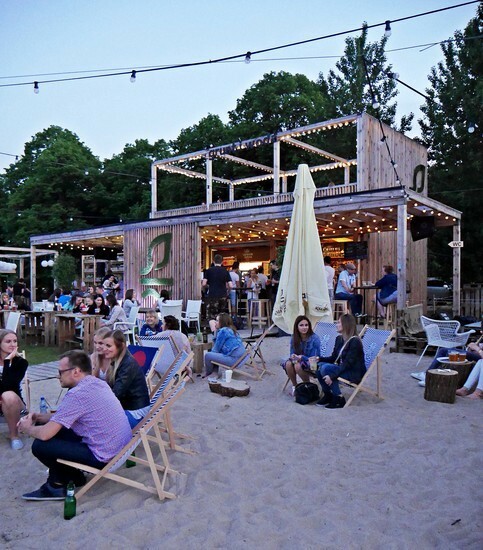 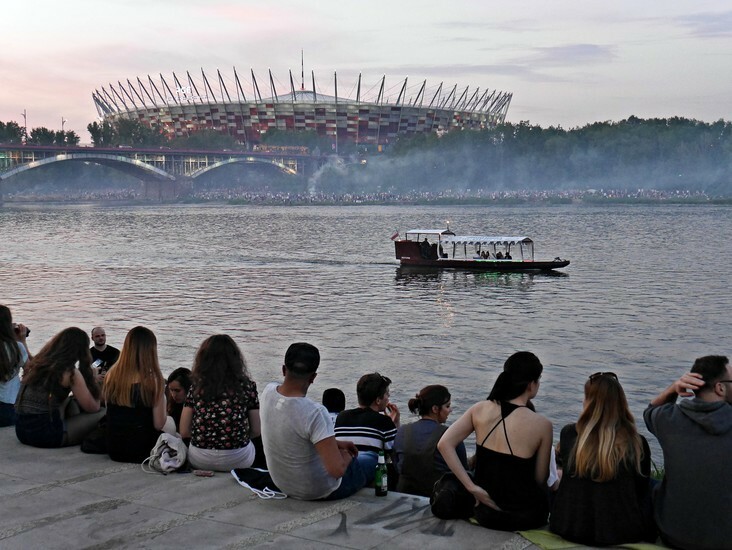 Well, well, well, Warsaw sure has scrubbed up its riverside pretty nicely recently, huh? 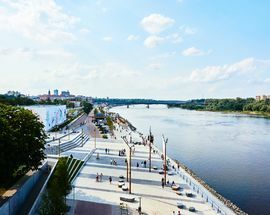 Well, it has, kinda...but here's the unique part - the west side (the left bank) has concrete boulevards (Bulwary Wiślane) with bars and cafes dotted here and there, while the right side of the river remains mainly wild providing a unique contrast between the two sides. 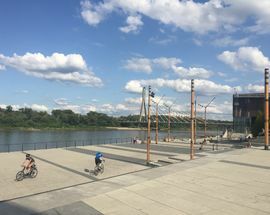 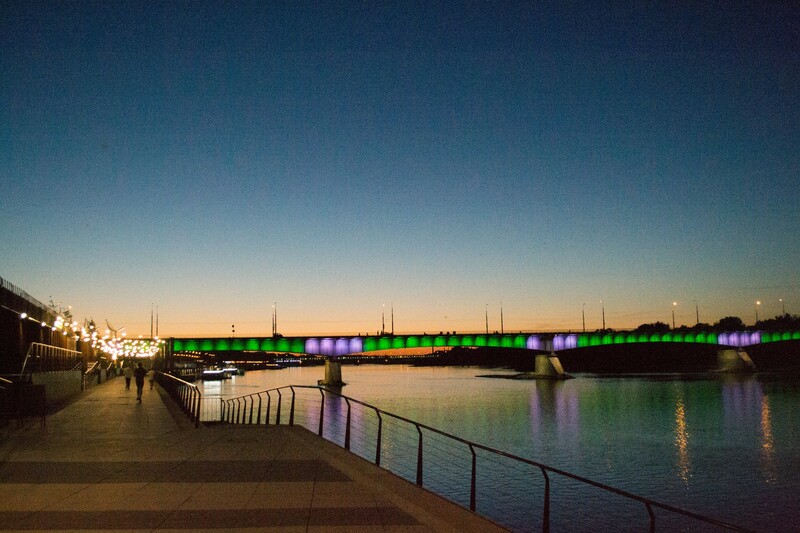 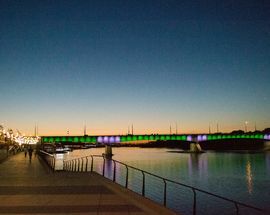 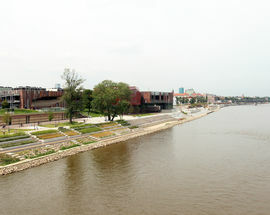 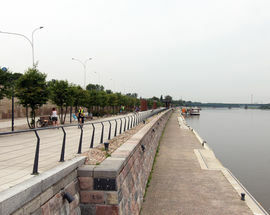 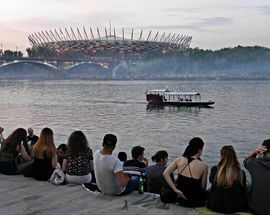 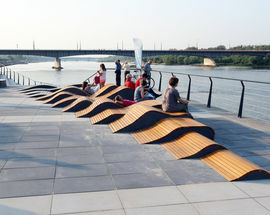 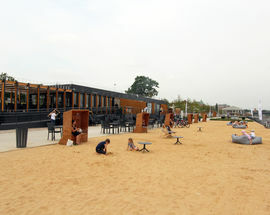 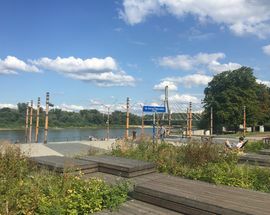 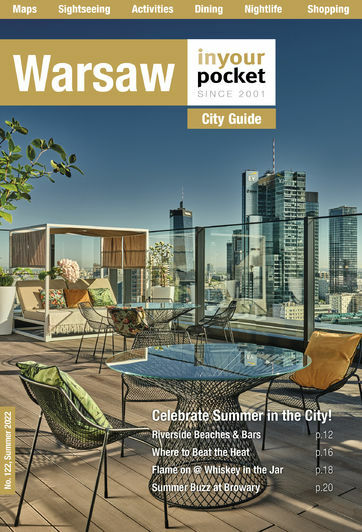 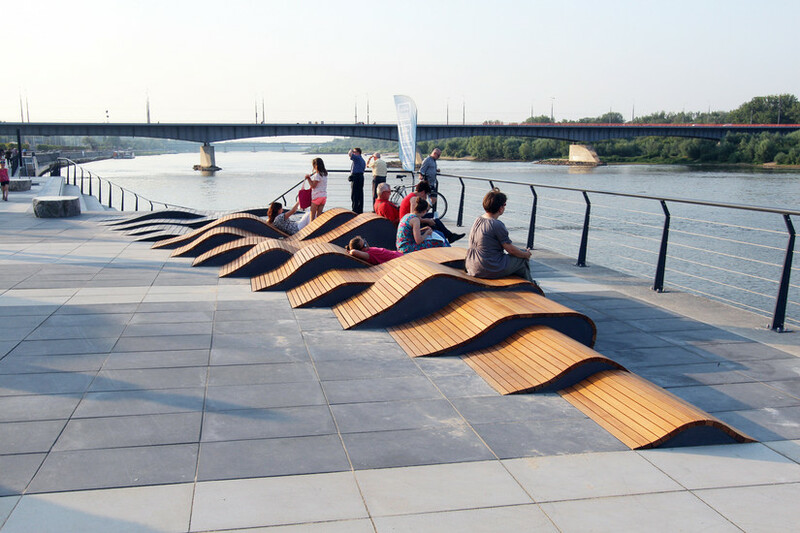 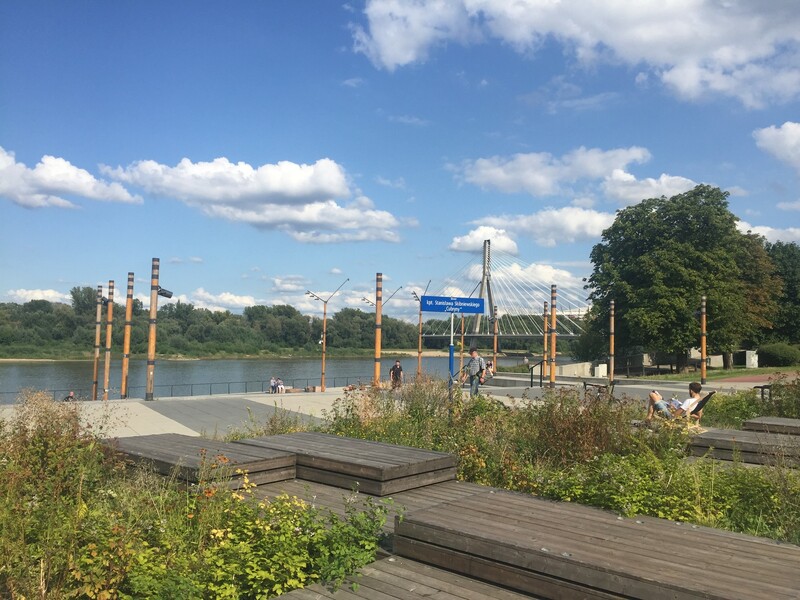 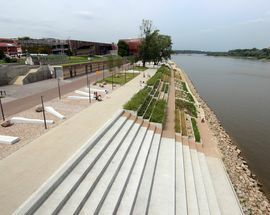 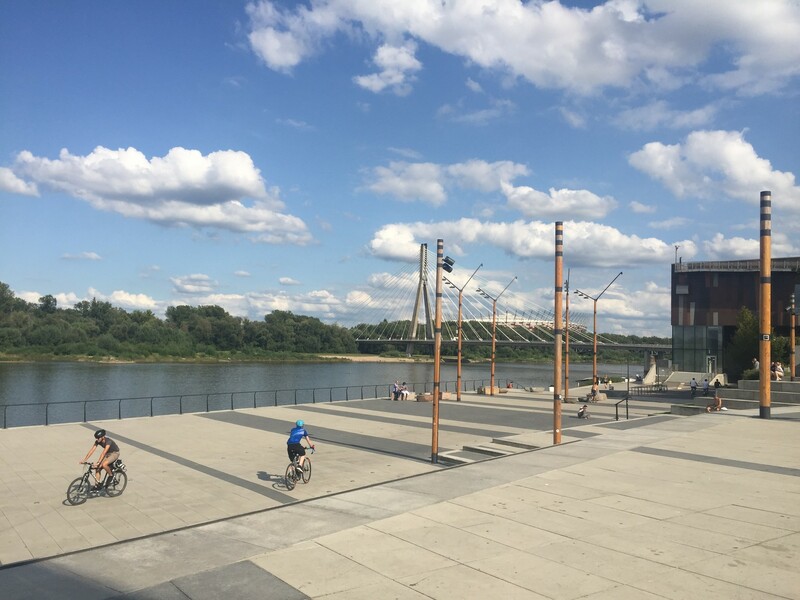 Warsaw can now say its riverside boulevard is one of the best in Europe, if not the world; comparable to that of the Thames, the Seine and the Tiber (the Mayor's words!). 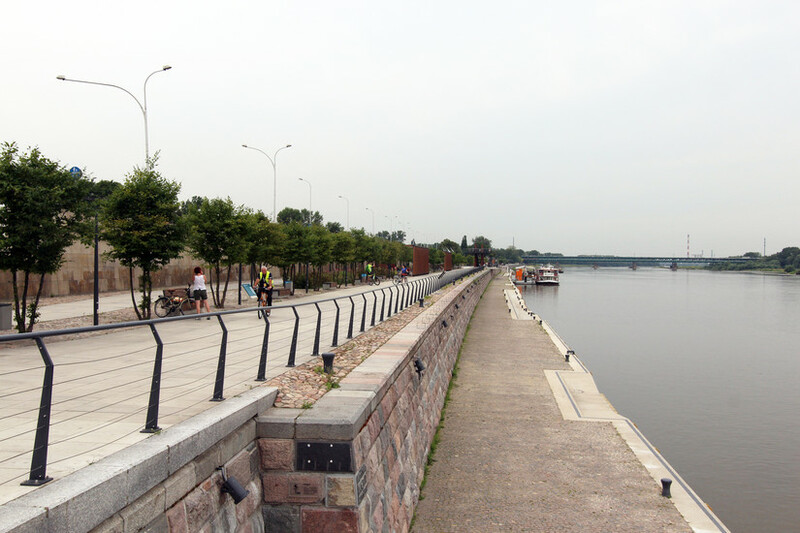 Gradually completed in phases, an 800m section was opened in June 2017 and the latest linking section was opened in August 2017. 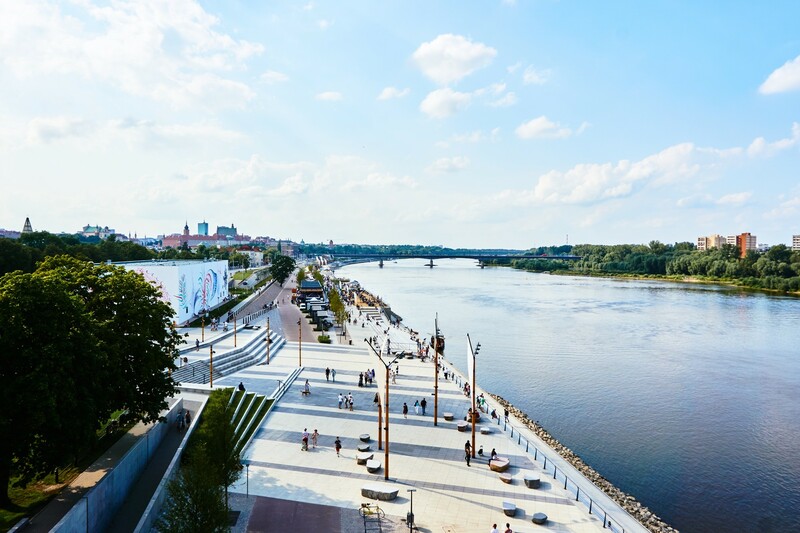 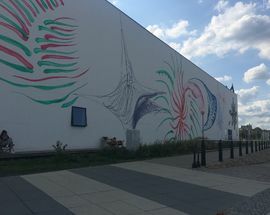 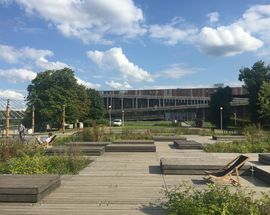 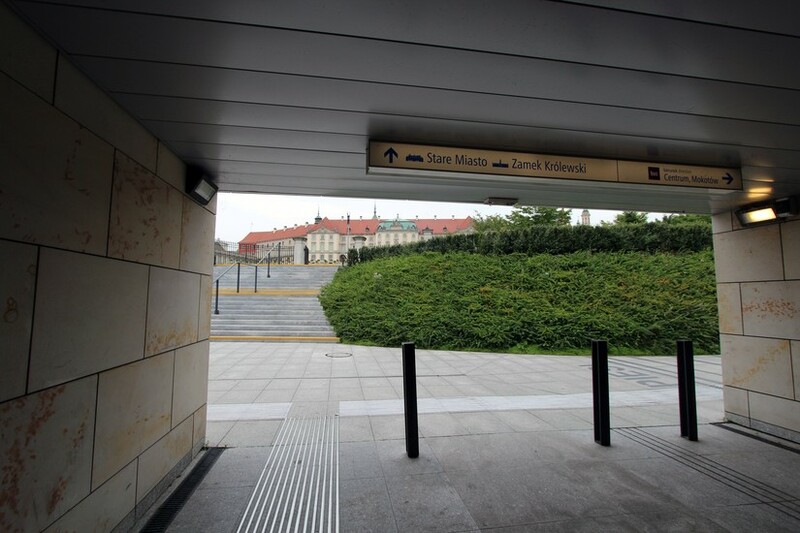 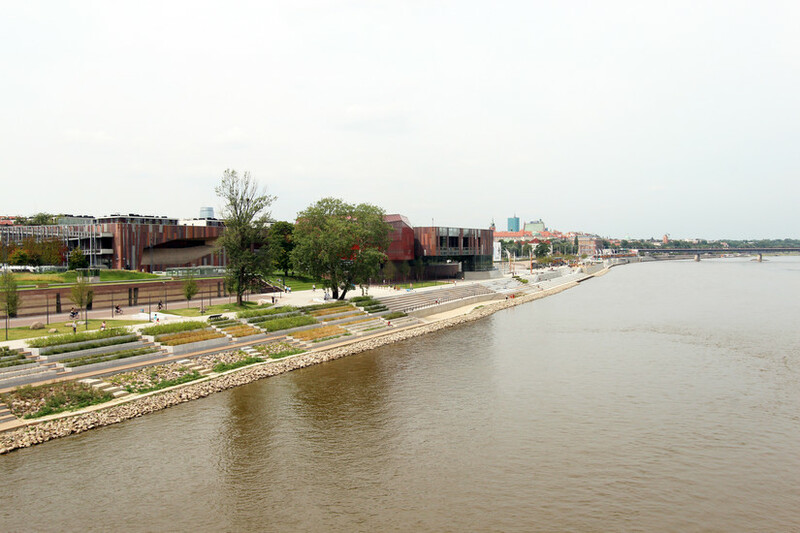 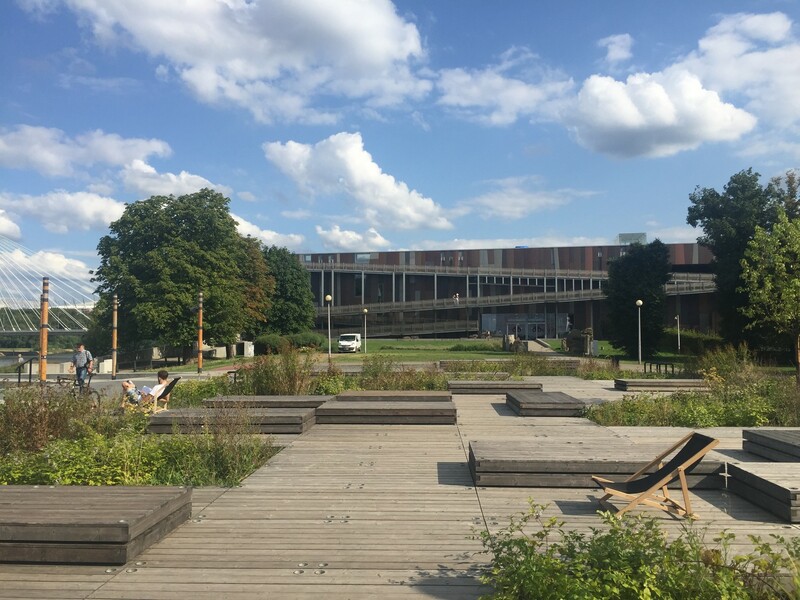 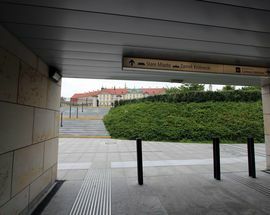 To get there, walk down to the riverfront from the Old Town, or roll right in by metro M2 to Centrum Nauki Kopernik station, and choose to either walk, ride a bike, skate the length of the boulevard or if it gets cold, find an indoor riverfront cafe to sit in and enjoy the views.